Mostly liberal columnist Richard Cohen is fed up with Obama’s dithering on Syria. 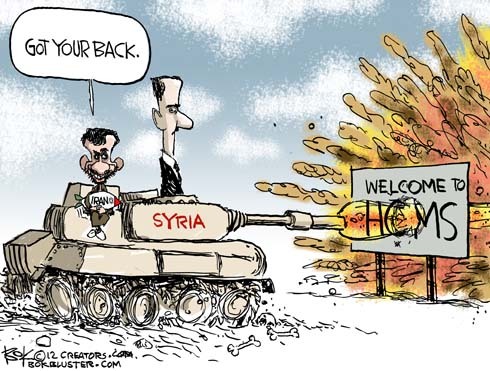 Mostly conservative columnist Charles Krauthammer is fed up with Obama’s dithering on Syria too. Common ground. Cohen wants to intervene on humanitarian grounds. As for Krauthammer : “A superpower’s role in a regional conflict is deterrence.” He feels Putin has taken Obama’s measure and our president comes up short – to put it kindly. 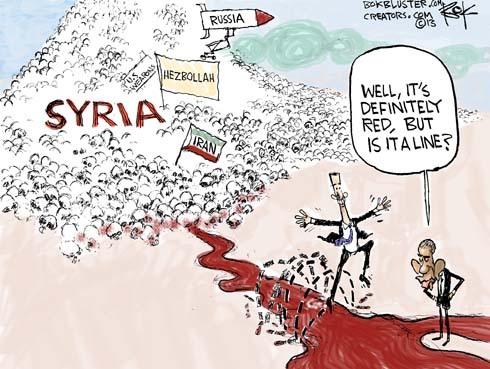 President Obama has said Bashar Assad will have crossed a red line if he gasses his own people. France says that gas would be Sarin. Seems we’ve been down this line before. 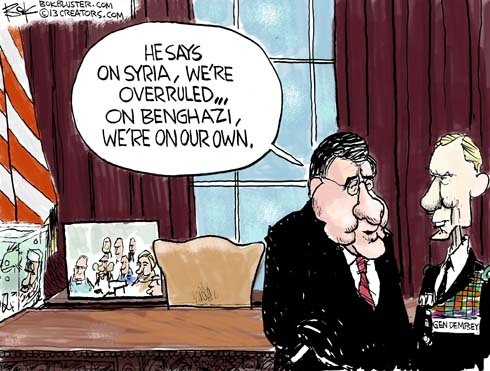 Senate testimony last week, from outgoing Defense Secretary Panetta and Joint Chiefs chairman General Dempsey, revealed that neither Obama or Hillary answered the 3 a.m. alarm on the night Ambassador Stevens was murdered in Benghazi. Panetta and Dempsey briefed the president on the situation that night at 5 p.m. Obama left the matter up to them and wasn’t heard from again until he flew to Vegas the next day and blamed the attack on a video maker. Also it was learned that the president overruled advice from the Secretary of Defense, Secretary of State, CIA Director, and Chairman of the Joint Chiefs of Staff to arm fighters in Syria. When a cartoon stings a politician in the United States the politician will sometimes ask the cartoonist for the original drawing and hang it on his wall. 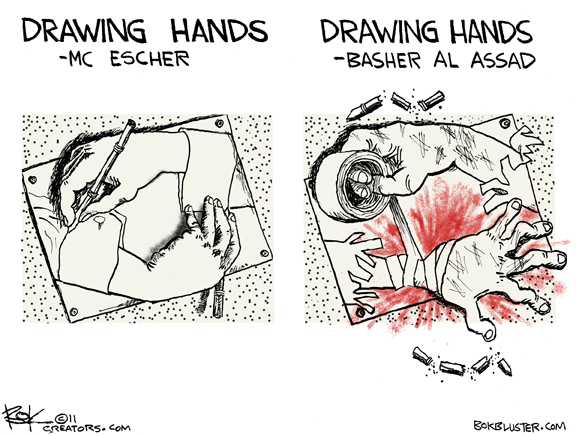 Apparently in Syria they hang the cartoonist on the wall. Ali Ferzat didn’t earn a spot above Assad’s desk but he was beaten by thugs and had both hands broken in honor of his work.